Dramatically enhance the look of your rooms with cornices. 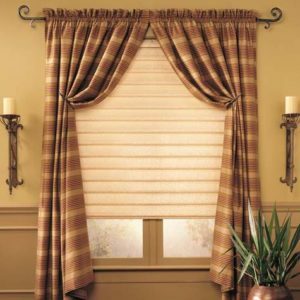 These add a beautiful layer to any window covering and can hide room imperfections or drapery hardware. 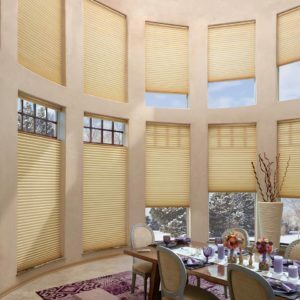 Pioneer Window Fashions offers many types of cornices, including completely creating one from scratch, designed with you in mind. 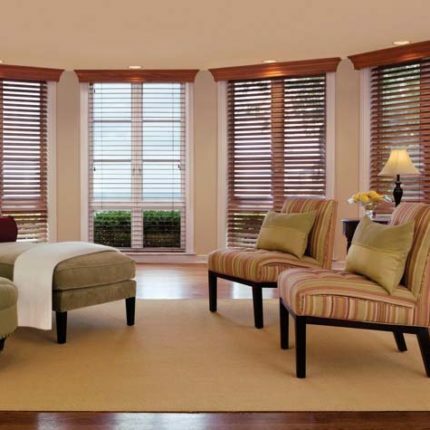 In addition to our fabric cornice offerings and customization, Pioneer carries Hunter Douglas cornices if you purchase Hunter Douglas treatments. 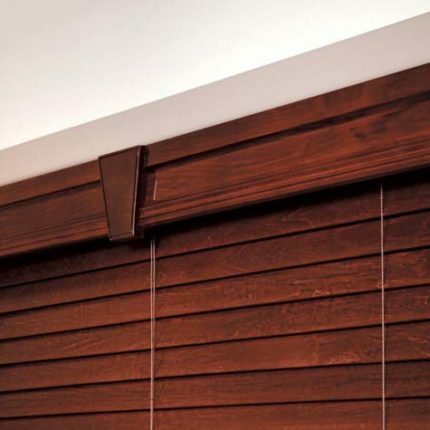 Parkland Wood™ Cornices are perfect top treatments for any Hunter Douglas window covering and are a great accent over draperies. 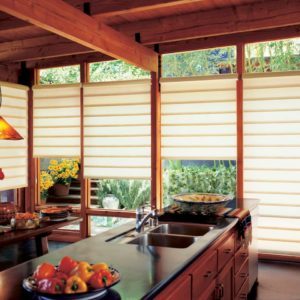 Even better, they are available on all Hunter Douglas products! Each is made of 100% domestic wood, and is hand-finished and hand-assembled by genuine craftsmen. Available in a variety of styles and heights. They are also available unfinished. Hard Cornices are constructed from wood, and can be stained or painted. 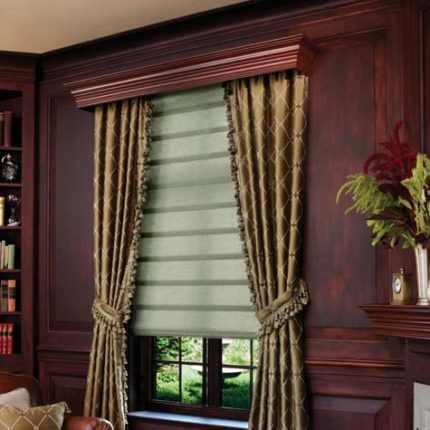 Soft Cornices are covered with fabrics – we have many styles and sizes to choose from. If you have existing molding, we can find a cornice to match and give your room an extra boost of architectural character. 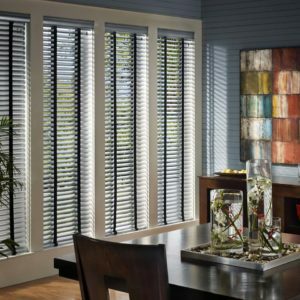 If you’re looking to turn an ordinary window into an extraordinary one, this option might be for you. By hiding the drapery rods and hardware, a cornice will add some elegance to your space. You can even use it as a mantle of sorts, placing small items on top of the cornice to really make the room pop. Available as unfinished Basswood, Oak or Cherry. You can paint or stain to any desired finish.